--I ship anywhere (approx. $10.80 by boat worldwide is the cheapest, but other shipping options are available). Shipping quotes, sizes, and feedback are in the main description. 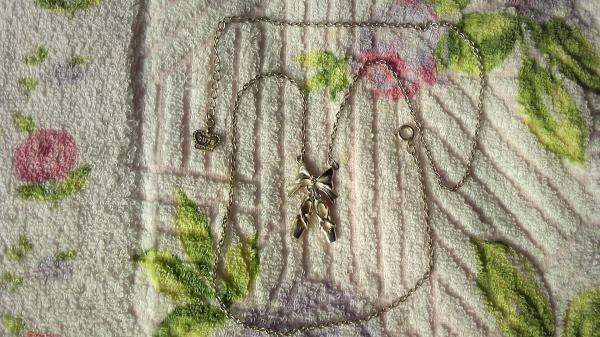 If you choose the Buy It Now option, I will include a FREE AP Bolero Cutsew and Emily Temple Cute Toe-shoes Necklace! The photo with the bunny is closest to the skirt's actual color. 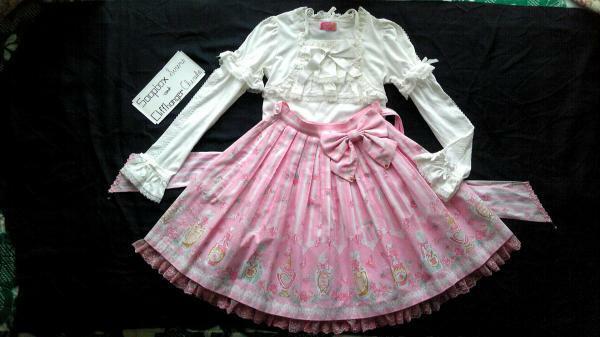 -Angelic Pretty Rose Toilette Skirt in pink is a gorgeous perfume bottle print with five jewel-like bottles with differing designs. The pink and white stripes create a scalloped design. Also, this rare print in pink is extremely versatile! Some themes for co-ordinates are bottles, polka-dots, butterflies, roses, and stripes. The skirt has no flaws and has detachable back ties and a bow (separate picture). Condition: Like New. 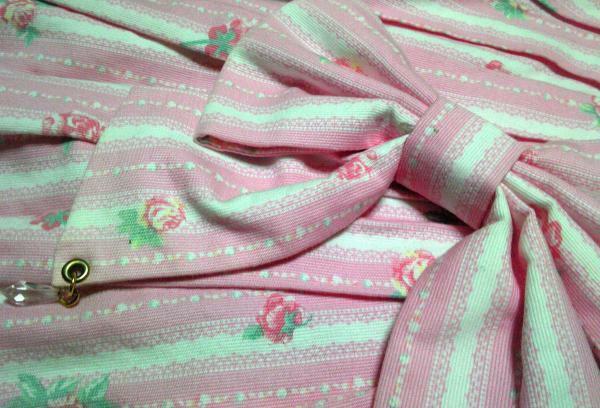 Angelic Pretty Rose Toilette Skirt Bow: The bow has two tiny spots, so its condition is Minor Damage. 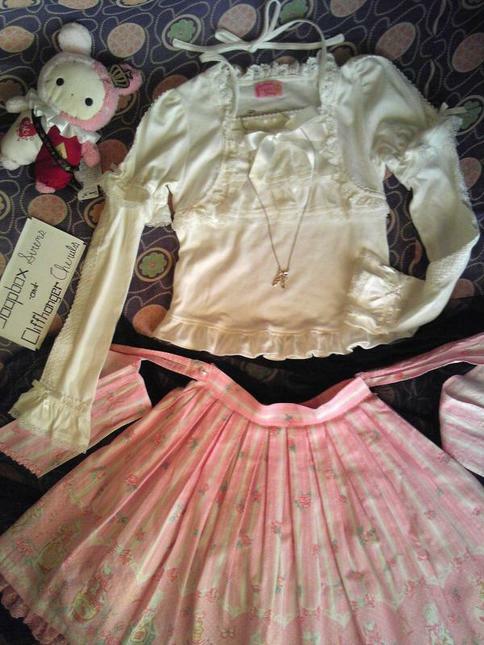 -Buy It Now only Angelic Pretty Bolero-like Triple Frill Ribbon Cutsew has five satin ribbons, detachable sleeves, and neckties! Its condition is Like New.